We have seen several leaked "images" and "renders" of the Galaxy S III but unfortunately it's still unclear if any are legit since none of them match one another. Well guess what? 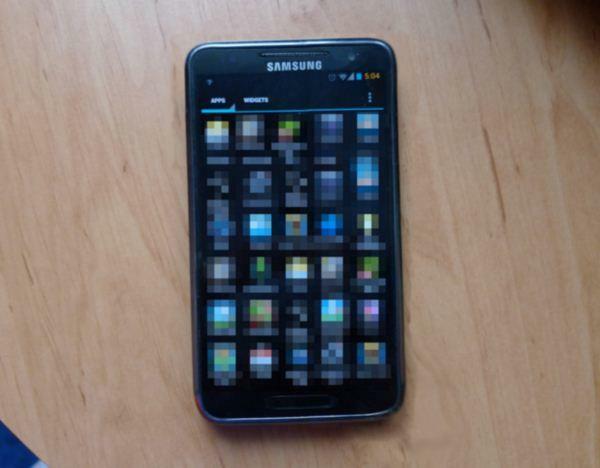 A new supposed photo of the phone spilled onto the web on Friday, although this one looks particularly fake. For one, the phone looks super similar to the international Galaxy Note, albeit with a stretched-out home button and a display that appears to extend nearly completely to the sides of the device. As BGR notes, it also looks like Samsung's logo is far too close to the top of the screen. We think it looks like someone just tweaked an international Galaxy Note in Photoshop and then called it a Galaxy S III and sent it around the internet. The Galaxy S III will reportedly pack a 4.65-inch screen with a 1080p HD resolution, a 1.5GHz quad-core processor, Android 4.0 Ice Cream Sandwich, a ceramic body, an 8-megapixel camera and a 2-megapixel front-facing camera for video chats. For more, be sure to check out the top 5 features we hope Samsung includes in the Galaxy S III.